Or view larger version. "#554 Hydrolic Gold Mining - Gold Fields". Date unknown. A. J. Russell, photographer. Lantern slide. Collection of Oakland Museum of California. This glass slide shows the environmental impact of hydraulic mining. Hydraulic mining is a form of mining that uses high-pressure jets of water to dislodge rock material and move sediment. 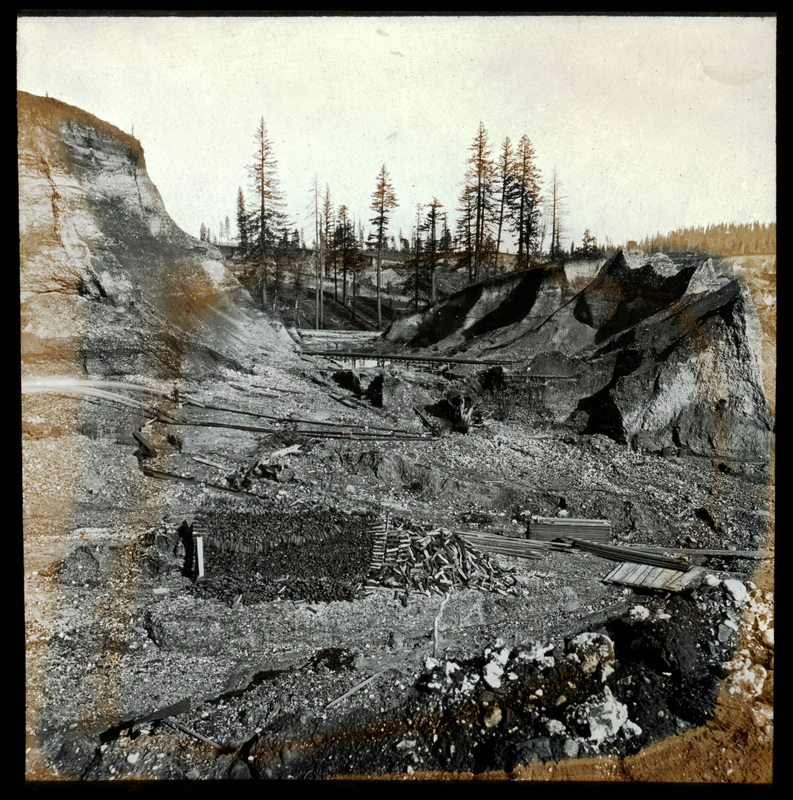 Hydraulic mining was first used in an area near Nevada City, California in 1853 during the California Gold Rush and spread to other gold mining areas. It had a devastating effect on the natural environment and agricultural in California.